Swedish-born author and filmmaker, Helena Norberg-Hodge, is the recently-announced winner of the prestigious 2012 Goi Peace Award, presented by the Tokyo-based Goi Peace Foundation (http://www.goipeace.or.jp/). 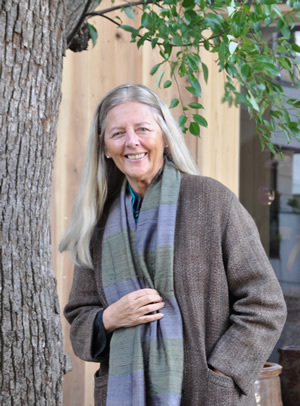 The award is in recognition of Ms. Norberg-Hodge?s ?pioneering work in the new economy movement to promote a more sustainable and equitable world?. The citation reads in part, ?Through your outreach and educational activities advocating for localization, you have contributed to the revitalization of cultural and biological diversity, and the strengthening of local communities and economies worldwide.? Previous recipients of the award, which was established in 2000, include James Lovelock, Deepak Chopra, Lester Brown, Oscar Arias and Bill Gates. Ms. Norberg-Hodge is the award?s first female recipient. Ms. Norberg-Hodge is the Director of the International Society for Ecology and Culture (ISEC) (http://www.localfutures.org/). She is particularly well known for her groundbreaking work in the Himalayan region of Ladakh, or ?Little Tibet?, for which she won the Right Livelihood Award, commonly known as the ?Alternative Nobel Prize?. Her book, ?Ancient Futures; Learning from Ladakh?, together with a film of the same title, has been translated into more than forty languages. Ms. Norberg-Hodge is also the producer of the 2011 award-winning documentary, ?The Economics of Happiness? (http://www.theeconomicsofhappiness.org/). A linguist by training, Ms. Norberg-Hodge speaks seven languages. She is available for interview. Please contact her at hnh@isec.org.uk.